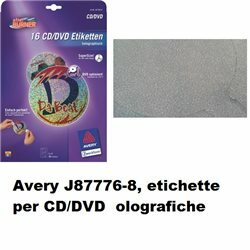 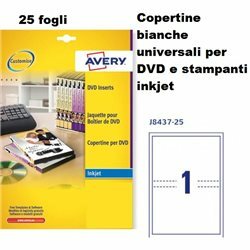 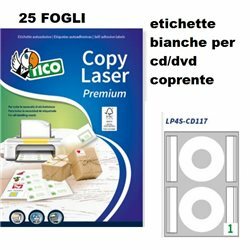 ETICHETTE ADESIVE BIANCHE A FORO LARGO PER CD. 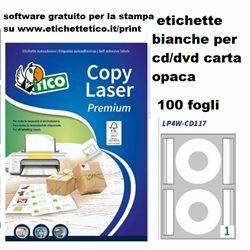 TECNOLOGIA NO TOUCH PER EVITARE IL CONTATTO CON LE DITA DELLA SUPERFICIE STAMPATA. 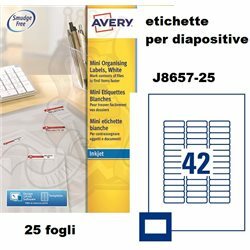 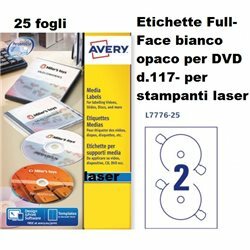 PER STAMPANTI LASER E INKJET. 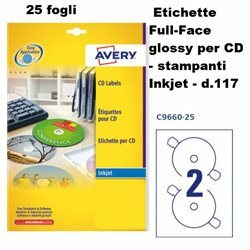 CONFEZIONE 25 FOGLI.